Works Well But Could Be Better. I'm a little confused. Some reviews mention removing the release paper from both sides. The 2 rolls I recently bought only had release paper on one side. As you unrolled it, adhesive on one side was exposed, making it difficult to measure and cut. If it had release paper on both sides, I would have given it 5 stars. I was a little concerned, because the Italian tile I was using for the back splash was very rough and irregular on the back, meaning very little of the tile surface would actually be adhering to the adhesive mat. Not to worry. Even with only about 10% of the tile actually touching the mat, they held very well. 1) Once you have the tile lined up, press it very hard for at least 5 seconds. The adhesive is pressure activated, so if you don't press the tiles hard, they will be loose. 2) Damp wipe the back of the tiles to remove any tile powder or residue, and then let them dry well. The tiles must be clean and very, very dry. 3) After wet cutting any tile, towel dry them, and then hit the back with a heat gun for 10 seconds or so. The first few cut tiles I tried to install after towel drying would not stick. Once I hit the back of them with the heat gun, they stuck like a champ. Again, your tiles have to be very, very dry. As a former tile sales person, I was very excited by the discovery of the Mussel Bound Adhesive Tile Mat I found in the Lowe's store in Cotati, California. I was helping a friend find tile and setting material for a small backsplash she was installing in her kitchen. She decided on a mosaic tile on 12 inch by 12 inch mesh sheets so we didn't have to cut any tile. With the use of the Mussel Bound we finished setting the tile and grouting in one afternoon. We planned this as a 2 day project and were very pleased and surprised at how fast we completed the backsplash and the ease of using the Mussel Bound. 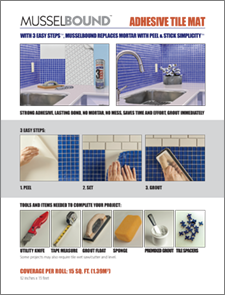 After years of selling tile and explaining the proper consistency of mortar or how to use other setting materials, I can recommend the Mussel Bound to a do-it-yourselfer as an easier, cleaner and faster way to install tile. I gave this product to the "old school" tile experts to put in my backsplash. While they didn't care for it at the beginning, once they got the hang of it they really liked it. Very easy to use and great adhesive. I am a general contractor and I usually sub out my tile jobs however I will do small jobs occasionally. I was helping an elderly customer on a fixed income pick out tile for her kitchen backsplash after doing moisture damage repair. We found some tile at Lowes that was reasonably priced and matched her kitchen décor. The sales person suggested that I might try the Mussel Bound product. After reading the label on the package I decide to try it. The product was easy to use and I was able to do the entire job in one day because I didn't have to wait for the tile adhesive to dry. Because I had estimated a second day for the tile work, the job was profitable even with a reduction in the amount I billed the customer. In the future, when I have a small tile job I will use the Mussel Bound product and I will recommend Mussel Bound to my subcontractors. A bit Pricey but very worth it! This is such a huge time saver when tiling. 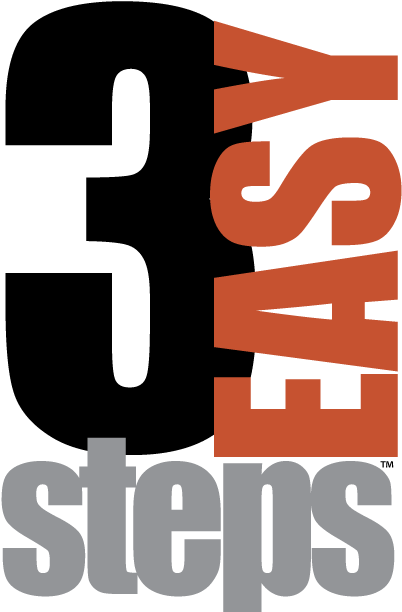 Very sticky, easy to use and FAST! Used for kitchen backsplash. No mess, no grout spacers, no cleanup. I will use this product forever. It was about double the cost of glue... but I'd pick it over glue for small jobs. The repositioning can be tough, but even if I tore the foam, it was still usable. Very happy.